Some people might not realize it, but the Pacific Seahorse or Hippocampus ingens is actually a fish! 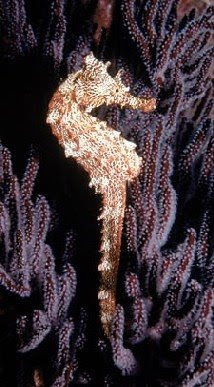 The Pacific Seahorse is the largest of the over 30 species of Seahorses, it can grow to over 1' in length! These fish feed on organisms on the bottom including mysids and plankton. 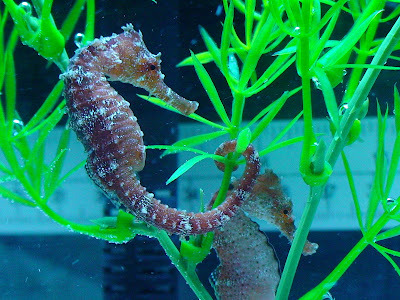 The Pacific Seahorse doesn't have any teeth or a stomach so they are fairly picky eaters. They are used as aquarium fish, but are threatened in many parts of the world due to destruction of habitat. Colors range from black, brown, maroon, red, orange yellow to olive green. You can check out some amazing footage of a Seahorse giving birth in the video below.